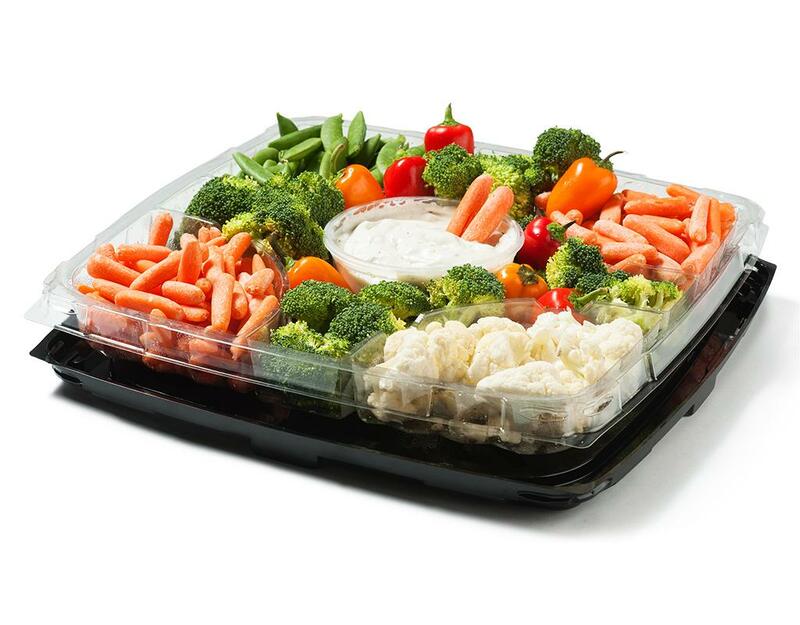 Every party needs a vegetable platter! 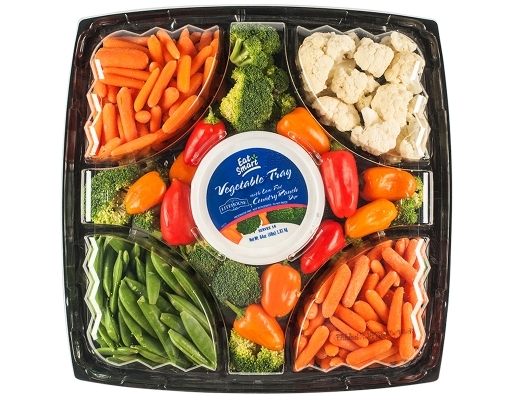 The variety of carrots, broccoli, peppers, cauliflower, and snap peas are fresh and vibrant. Enjoy these veggies with the low fat ranch dip for a delicious crunch. 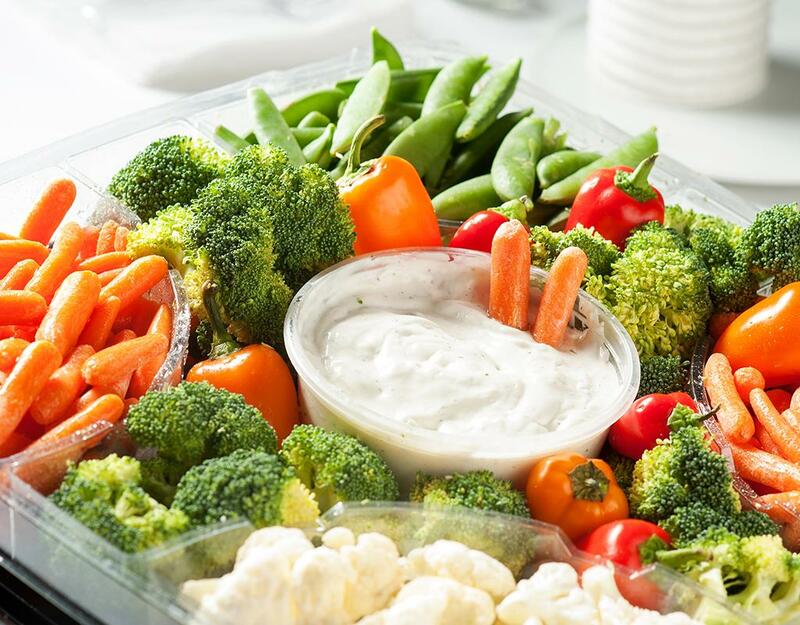 Carrots, Broccoli, Snap Peas, Cauliflower, Mini Sweet Peppers, Low Fat Country Ranch Dip (low fat buttermilk, milk, whey, water, skim milk solids, whey solids, corn starch, tapioca starch, disodium phosphate, carrageenan gum, locust bean, water, canola oil, maltodextrin, sugar, non fat sour cream, modified corn starch, egg yolk, distilled vinegar, salt, green onion, artificial color, cider vinegar, phosphate acid, dried garlic, xanthan gum, carrageenan gum, spices, dried onion, skim milk powder, lactic acid.